This might be the best teaser trailer Marvel's ever dropped. 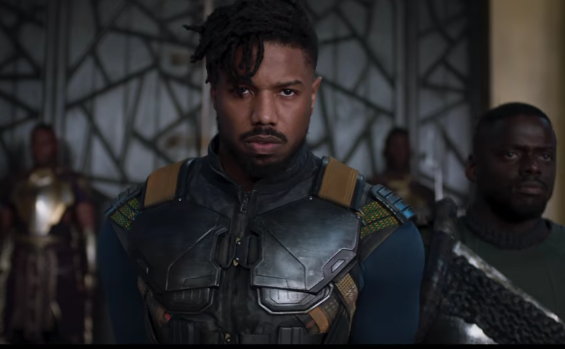 If the rest of Black Panther looks anything like this Marvel will have another massive hit. The saga hits theaters Feb. 16, 2018. Black Panther stars Chadwick Boseman (T'Challa/Black Panther), Lupita Nyong'o (Nakia), Michael B. Jordan (Erik Killmonger), Danai Gurira (Okoye), Martin Freeman (Everett K. Ross), Daniel Kaluuya (W'Kabi), Angela Bassett (Ramonda), Forest Whitaker (Zuri), Andy Serkis (Ulysses Klaw), Florence Kasumba (Ayo), John Kani (King T'Chaka), Winston Duke (M'Baku/Man-Ape), Sterling K. Brown (N'Jobu), and Letitia Wright (Shuri).